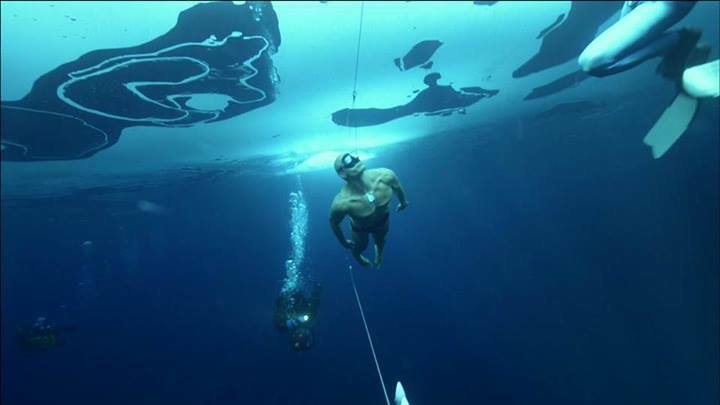 Four-time Danish World Champion freediver Stig Severinsen announced this week that he had achieved a new Guinness World Record by swimming 250 feet (76.2 meters) underwater — without fins or even a wetsuit — below one-meter-thick ice on a single breath of air. In doing so, Severinsen broke his own previous Guinness World Record for the same stunt of 236 feet set in March 2010. Last month, Severinsen broke another Guinness World Record by swimming 500 feet below the ice with fins and a wetsuit.